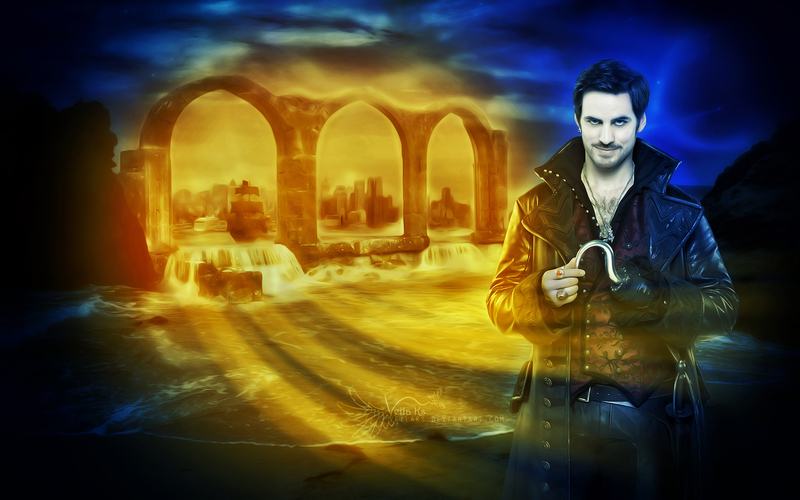 Captain Killian "Hook" Jones. . HD Wallpaper and background images in the वन्स अपॉन अ टाइम club tagged: photo once upon a time colin o'donoghue captain hook killian jones. This वन्स अपॉन अ टाइम wallpaper contains सड़क, शहर के दृश्य, शहरी सेटिंग, शहर दृश्य, and शहरी की स्थापना. There might also be रेल सुरंग and portcullis.